Do You Cycle With Headphones On? Staying safe on your bike is a must for all cyclists and while some drivers do put you at risk, there’s an awful lot you could to help yourself stay safe as well. According to the Daily Telegraph, a 38-year-old mother-of-one could well have been distracted on her bike by listening to music as she entered a roundabout without looking right at the same time as a lorry was exiting. Hull Coroners’ Court heard that Emily Norton – who wasn’t wearing a helmet at the time – most likely panicked and tried to avoid a collision before she fell at the nearside of the lorry and fractured her skull and spinal cord. She died instantly on the verge, without hitting the lorry. It is certainly not illegal to listen to music while cycling on public roads but it is important to remember that it could distract you from what it is going on around you. It could also stop you from hearing the approach of other vehicles, which could jeopardise your own safety. Back in 2014, a BBC poll found that nearly 90 per cent of all those asked whether cyclists should wear headphones while out on their bikes were in favour of a blanket ban. For cycling club kit, check out the Raceskin website today. Love life, my family and my bike. I'm blessed because my hobbies and passion for sports (in particular triathlon & cycling) is also my business. We provide clubs, teams and companies with the ultimate custom triathlon, run and cycling clothing. 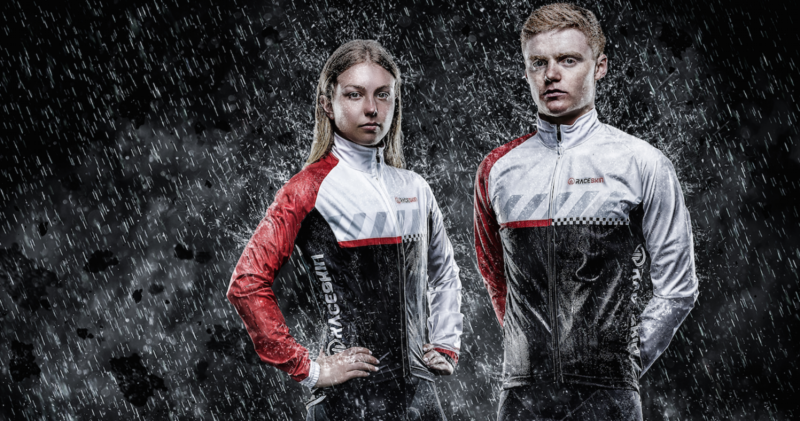 Raceskin specialise in the design and manufacture of the finest custom cycle and triathlon clothing in the UK. Each of our team has a passion for cycling and triathlon, and for both innovation and customer satisfaction. Raceskin work with clubs, event organisers and companies. Whatever the order requirements – big or small, our philosophy is to provide you with the best custom products possible and give you the ultimate combination of superior comfort and performance enhancing technology. All We Want Are The Facts Man. Does shaving your legs improve your cycling performance? Be fearless in the pursuit of happiness. RaceSkin Blog Do You Cycle With Headphones On?